Participate in National Pro-Life T-Shirt Day with Confidence! Today is National Pro-Life T-Shirt Day. For more than 20 years, American Life League has enabled people, especially young people, to oppose the culture of death peacefully and speak out for every human being’s right to life without having to utter a single word. Today, people throughout the nation are participating in this event and exercising their constitutional right to free speech. It is no secret that many of the forces that push and promote abortion, assisted suicide, and so forth, often try to silence any opposition to their agenda. However, thanks to the Thomas More Law Center, all participants can wear their pro-life t-shirts loudly and proudly without any fear of forces that would deprive them of their First Amendment right. 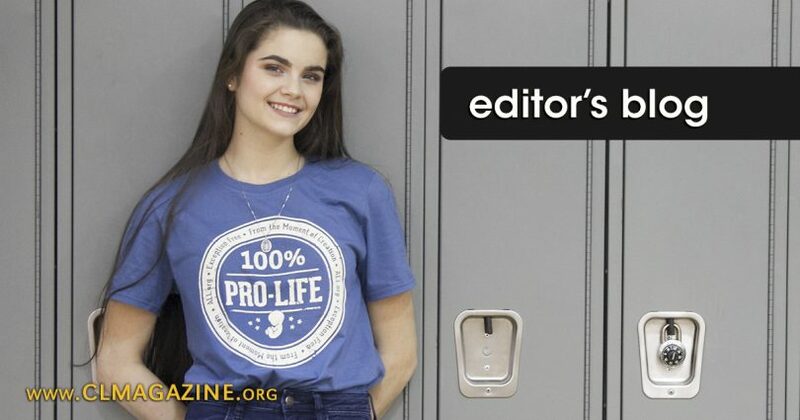 If you find yourself in need of legal assistance in relation to your participation in National Pro-Life T-Shirt Day, then contact Margaret of Life Defenders at [email protected] or by phone at 571-398-9904.